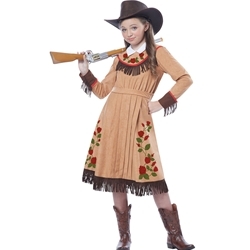 The Cowgirl / Annie Oakley Kids Costume includes the one piece printed dress with fringe. 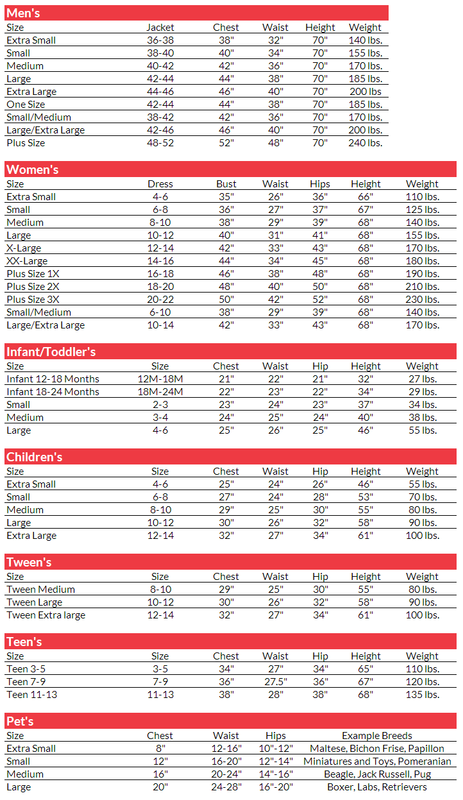 This costume is available in kids’ size Medium, Large, and X-Large. This costume includes a tan dress with brown fringe, and sports a rose print along the length of the skirt, and along the collar. The costume can be used to portray Annie Oakley, a famous 19th Century markswoman, or a cowgirl with her very own story. This costume is a fantastic choice for a school project or for Halloween. Complete the look with a Western hat and toy gun!